SHANKHNAD.ORG: Do not let Islam come to USA and do mistake like India. Do not let Islam come to USA and do mistake like India. YOU CAN SAY ALL YOU WANT ABOUT MUSLIMS AND QUOTE MANY EVIL VERSES. THIS MY FRIENDS IS THE DEFINITIVE. YOU HAVE THREE CHOICES WITH ISLAM CONVERT, PAY JIZYA OR DIE. THOSE WHO STANDS WITH ME, LIKE AND SHARE. THOSE THAT DON'T PREPARE FOR PRAYER RUGS, EMPTY BANK ACCOUNTS OR COFFINS. YOUR CHOICE. Muslim (19:4294) - "When you meet your enemies who are polytheists [Christians...], invite them to three courses of action. If they respond to any one of these, you also accept it and withhold yourself from doing them any harm. Invite them to (accept) Islam; if they respond to you, accept it from them and desist from fighting against them ... 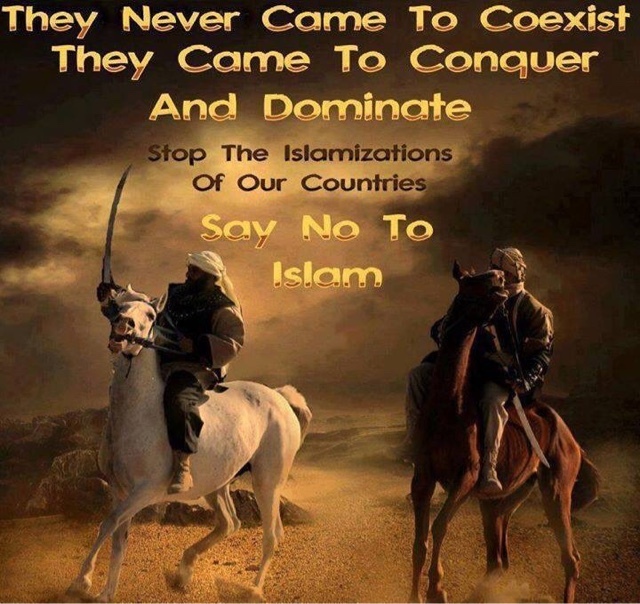 If they refuse to accept Islam, demand from them the Jizya. If they agree to pay, accept it from them and hold off your hands. If they refuse to pay the tax, seek Allah's help and fight them" Non-Muslims are intended to be subordinate to Muslims.